Illinois voted to repeal Prohibition on June 5, 1933. That decision was ratified on July 10. Prohibition era Illinois has a rich history, and everyone has heard of Chicago's troublesome relationship with Prohibition. 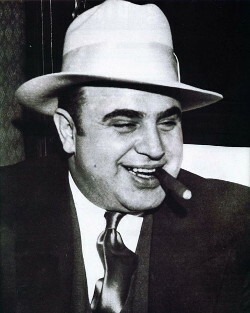 Indeed, one of the first things that comes to mind when one hears the term “Prohibition” is Al Capone, the iconic Chicago gangster. But there is more to Illinois's experience with Prohibition than just the corruption and violence associated with Capone and his Chicago Outfit, as illustrated by the stories below, which show how Prohibition affected some Illinois residents on a more personal level. One of the reasons Prohibition was enacted was because it was believed it would reduce some of drinking's consequences, such as alcoholism. But a 1929 article from the Chicago Daily Tribune illustrates that Prohibition's effects were the opposite of what was intended. It tells the background story of a man “who killed three persons and wounded three others in a drunken frenzy.” According to the man's wife, the man had no problems with alcohol before Prohibition and only started drinking heavily after it became illegal. Al Capone certainly wasn't the only bootlegger in Illinois. There were many small-time bootleggers, and the Chicago Daily Tribune did an extensive interview with one of them. He tells of its thrills and its dangers, and of how frequently bigger gangs simply stole liquor from the smaller operations. These minor bootleggers occasionally had run-ins with the law, and the results were sometimes fatal. In fact, there was quite a scandal involving the shooting of the wife of such a bootlegger by a Prohibition officer. In 1929, Lillian De King was shot and killed by an agent during a raid of questionable legality. Many were angry when the officer who killed De King didn't face serious consequences.